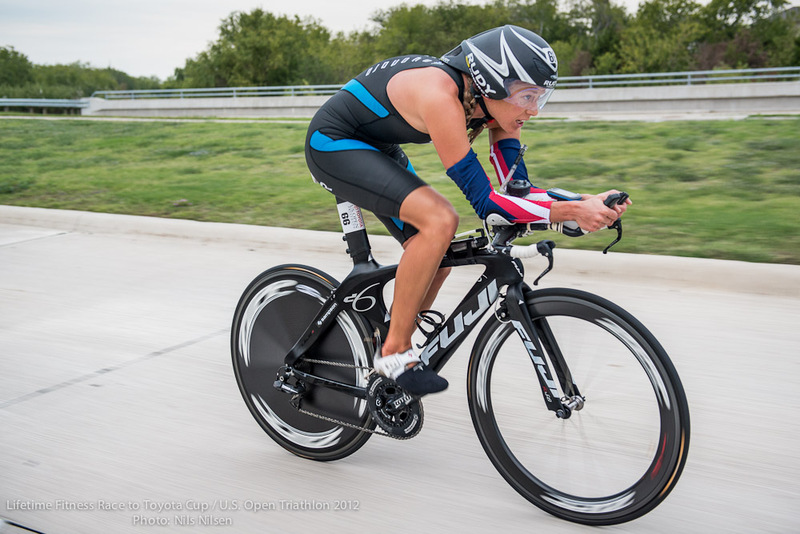 This Sunday I raced in my last race of the 2012 season. It was also the final race in the Toyota Cup/Lifetime Series with double points, cash/car and a series title on the line. I had won two previous Race to the Toyota Cup titles heading into the race; 2009 and 2011 and I wanted to cap off the year with the race win, but more importantly the series win. 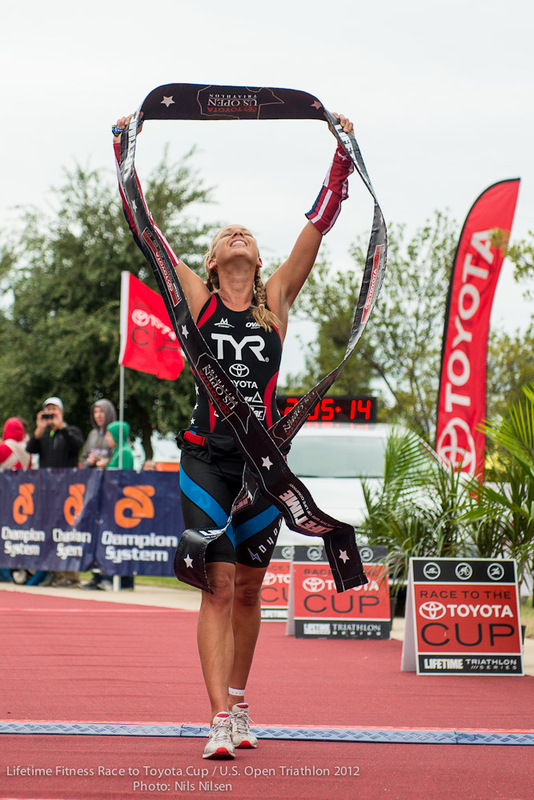 The series began back in April with the Nautica South Beach Triathlon in Miami, then in May it was the CapTexTri in Austin, June the Philadelphia Tri, July the Lifetime Fitness Tri in Minneapolis and finally the Chicago Triathlon in August. I skipped the LA Triathlon the weekend prior to Dallas because the Series requires scores for five races, including Dallas. At this point, I had five wins heading into Dallas and wanted to play it safe and not risk a crash or something happening in LA. Dallas was a double points scoring race, so it had to count amongst my top five scores. By the time the Wednesday prior to the race rolled around, I was ready to get to the start line. Well, actually more than ready, I was getting very anxious. I was trying not the think about the fact that if I were to get a flat or crash or get sick or have an off race, the Series Title would be over. 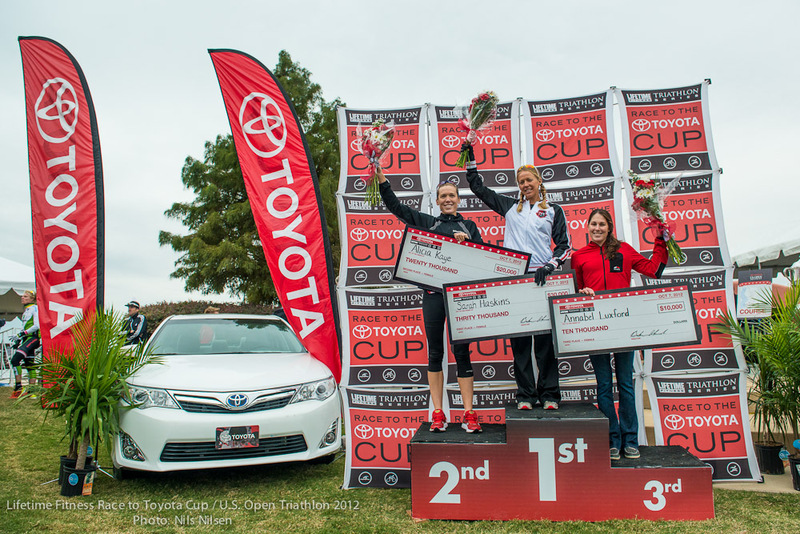 Having dedicated much of my season to the Toyota Cup, capping the finale off with series win was very important to me. I have to say, the week leading up to the race was one of the most mentally challenging for me. I did not feel nervous, but it was more of a deep anxiety. I was having trouble sleeping and was feeling a bit wired the days leading up to the event. I had been resting for the end of the season and just tried maintaining my fitness since my peak for Hy-Vee last month. So muscular wise, my body was feeling pretty good; however, the lack of sleep was making me feel quite exhausted. My mother summed it best in her analogy saying to me, “It’s like when the runner’s get to the end of a marathon and that last mile is not just physically challenging, but more mentally challenging. 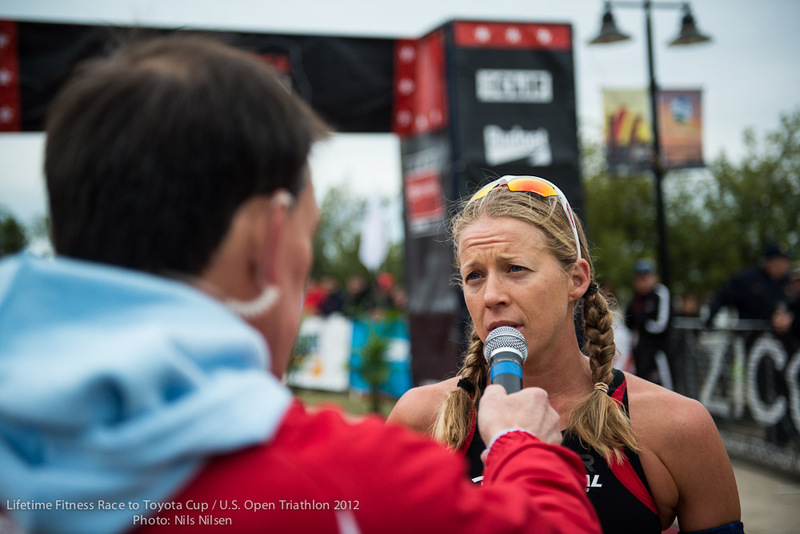 You know you are so close to that finish, feeling all the hard work it took to get to that point, but also knowing how hard that last mile can be.” That is a bit what I was feeling, as I thought back to all five races I had competed in from April-August and knowing I still had to hit the nail on the head in Dallas. The day before the race, the first major cold front of the year blew all the way down to Texas. The air temperature was 47 degrees and having been in Florida most of the year made that 47 feel a bit shocking. I can’t even remember the last time I have trained outside on my bike when it’s been below 50! I was not too concerned as Nate and I discussed a plan on how to try and keep my core up as warm as possible. Since the weather had recently turned, the water temperature was 70.5 degrees, making it a non wetsuit swim. I was a bit worried about this prior to the race, but I knew that once I got out on the race course, I could handle any conditions. I warmed up in my wetsuit and kept my wetsuit on just minutes until race start. I was surprised how warm I was in the water with my wetsuit on (it felt awesome compared to the air!). The swim was a dive start. I started on the outside right, and with it being a small field the start was very relaxed. I got on Lauren Brandon’s feet until the first turn buoy and then decided to make a move and pick up the pace. I lead the swim until the final turn buoy when Lauren and I were swimming side by side to each try and earn the swim prime. Although we were both going for the swim prime, I made sure to keep my pace under control and not push too hard and jeopardize the remainder of my race. 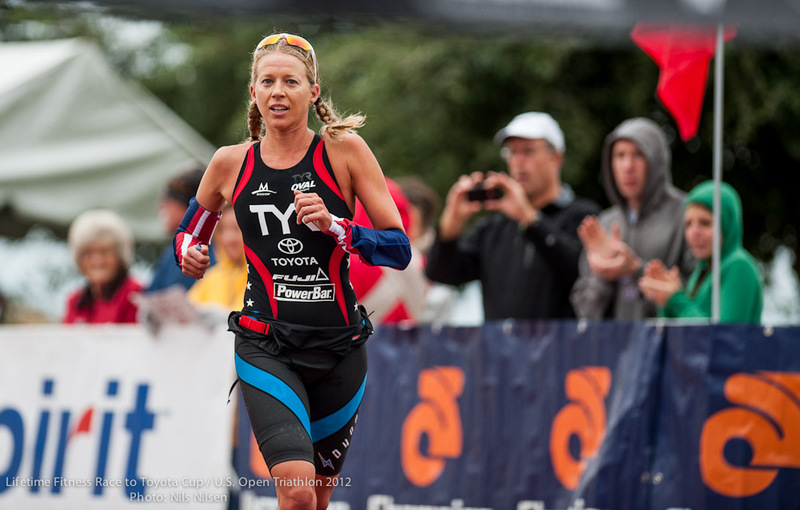 I ended up exiting first and felt the first bit of cold for the race just out of the water. The swim was by far the warmest part of the race. In T1 I spent ten additional seconds to slip arm warmers on and I kept my Sayonara swim skin on! This was something Nate and I discussed and I practiced riding in the week prior to the race when I noticed on the extended forecast it was going to be cold. Although I did feel the cold on the bike, at least the rubber speed suit helped keep me warmer. On the first half of the bike, it was brutal with a headwind. I focused on keeping very safe on all the corners and stayed mentally focused on a good tempo. At mile 14 into the bike, Alicia Kaye rode up to me and from the point on I focused on spotting Alicia up the road. Once we entered transition, she had about fifteen seconds up on me. The original plan was to take my speed suit off before the run, but I just decided to get my shoes on and go! With it being so cold, I figured it may take a minute to get it off. I thought it may be a little constricting on my knee drive, but the risk was well worth the reward of staying warm and not wasting any time trying to get it off. The run course had changed from last year. There was not one meter of flat on the entire run and most of the run was a 8-12% grade uphill or downhill. It was so hard to get into a rhythm and it was a very unique course. It did not really feel like I was running but more going really slow uphill and trying not to fall on my face on the downhills with my numb feet!! When I started the run, I caught up with Alicia about 800 meters into the run. From that point on, I focused on staying safe and in control and getting to that finish line!!! Once I broke the tape, I was so relieved to be able to accomplish my goal. This win was my eighth for the season and also my third Race to the Toyota Cup Series victory. My in-laws and parents were in Dallas with me and it was special to share the moment with them. My Dad had a 27 minute PR from the year before, so he was excited to feel stronger and improve from last year. A big congrats to Alicia Kaye and Annabel Luxford for a great season in the Series and taking 2nd and 3rd. As I type, I am on the plane to visit family in St. Louis. I am really looking forward to a physical break, but especially a mental break. I wish everyone a great off-season. So far this week I have a kindergarten field trip to the pumpkin patch, a trip to Six Flags this next weekend and helping Dad PR in his five mile run at the Saturday morning Fleet Feet Group run!